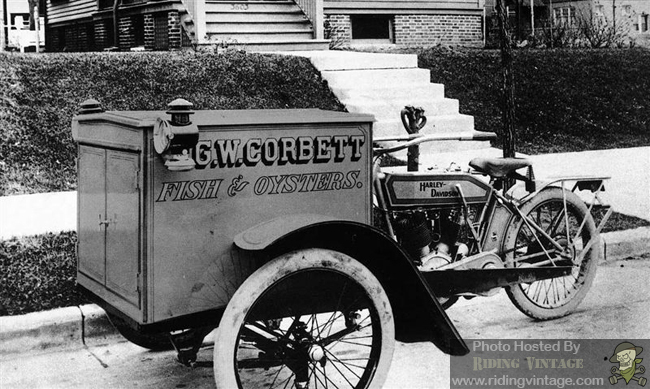 Once the novelty of an engine-powered two-wheeled vehicle wore off, both manufacturers and enthusiasts were looking for ways to convert motorcycles into commercial vehicles. 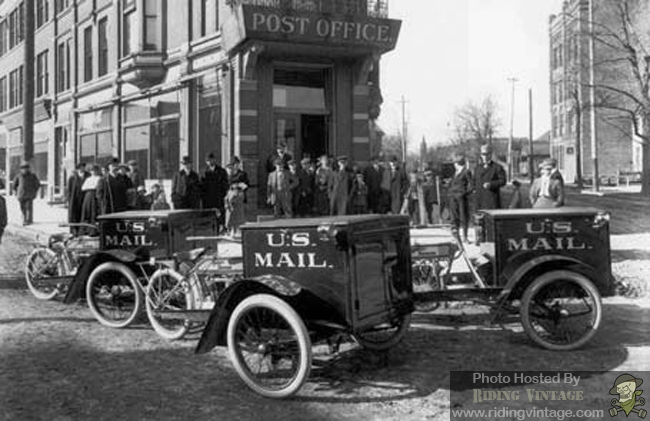 Since they were cheaper to own and operate than automobiles and able to travel better on rutted rural roads, many Police Departments and the US Postal service were already relying on motorcycles as an important part of their vehicle fleet. 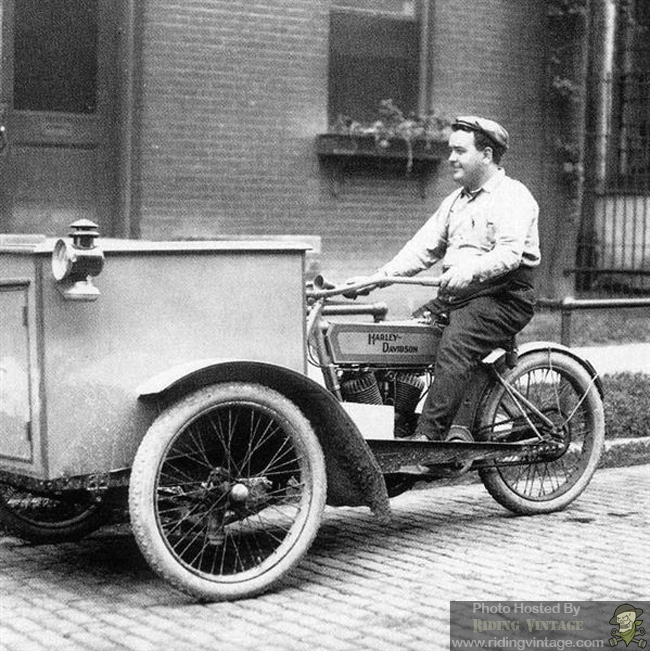 Harley-Davidson was eager to increase it's foothold in the commercial vehicle market, so in 1913 they announced that they would be producing a new model called the "Motorcycle Truck". 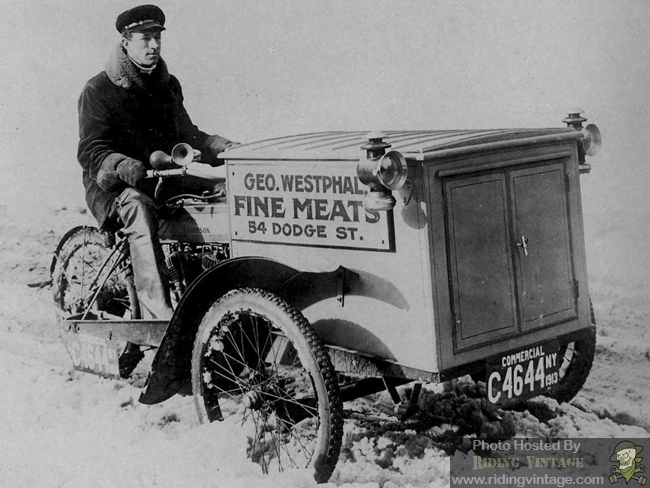 The Motor Company had already successfully tested this concept during the winter of 1912-1913 in a joint venture with the Milwaukee branch of the US Postal Service. 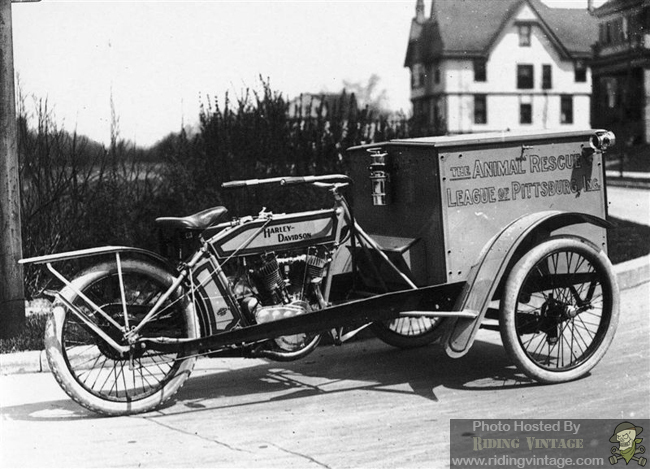 Prototype motorcycle trucks were provided to mail carriers to use on their normal routes. After surviving a harsh Wisconsin winter, Harley felt they were ready for production. The motorcycle truck used an F-head v-twin engine which was mated to a two speed transmission. The transmission was designed for hauling heavy loads, so it used a 10:1 ratio low gear and a 5:1 ratio high gear. 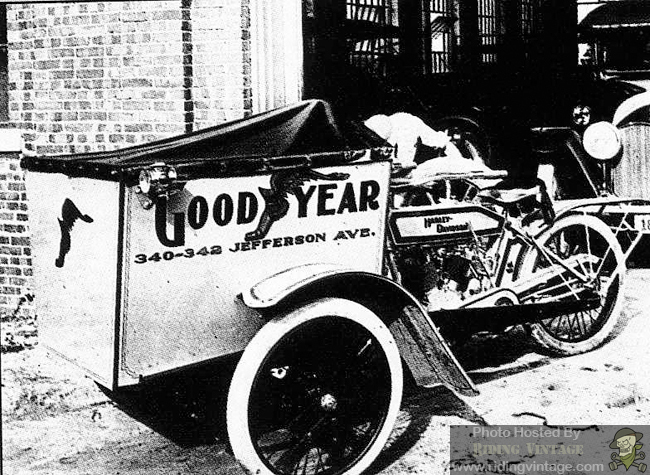 The standard single wheel front end was replaced with a newly designed dual wheel front end. A cargo container was then mounted between the two front wheels. 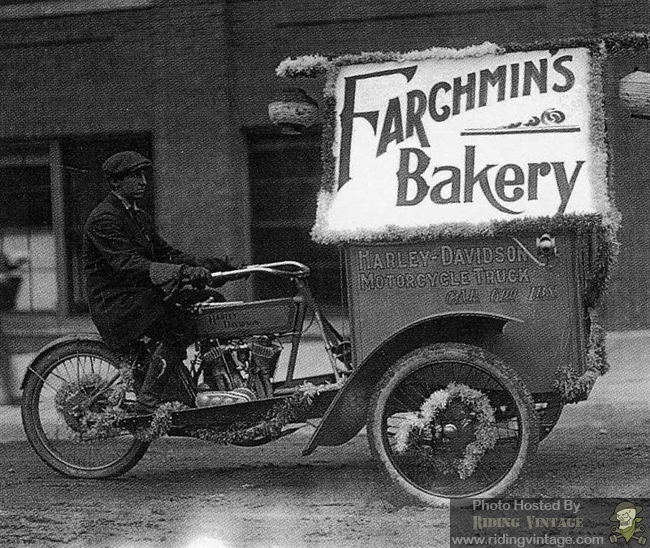 Company advertising described the motorcycle truck as maneuverable and easy to handle. It also boasted a 550 lbs cargo carrying capacity and the front mounted container provided ample space for advertising. 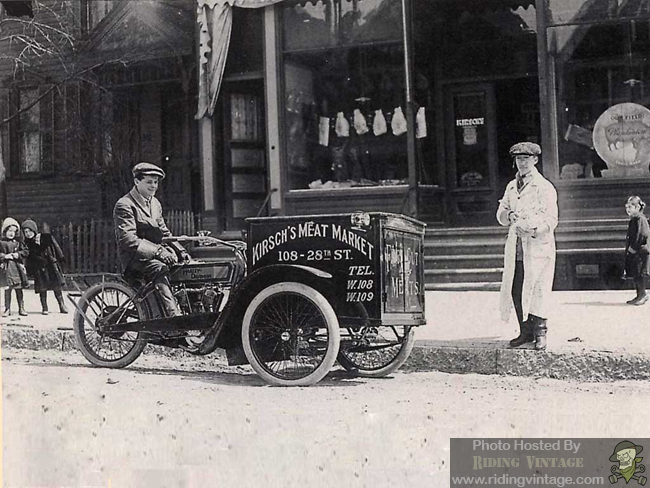 Still, the motorcycle truck was short-lived and by 1915 it had been replaced by the easier to produce Package Truck, much to the disappointment of meat delivering services across the US.